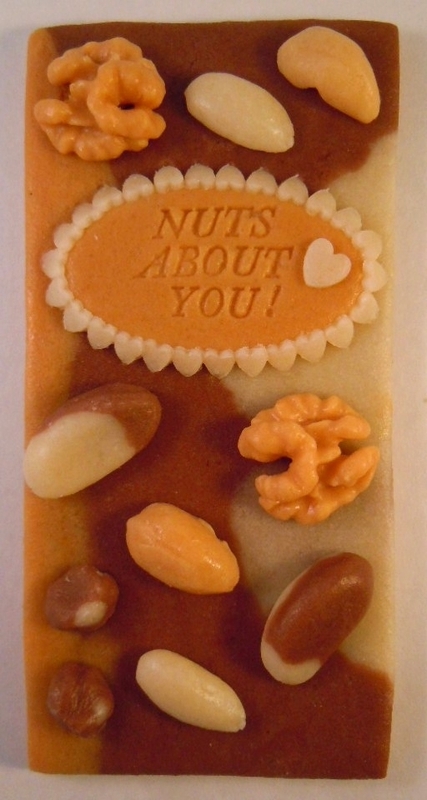 A selection of nuts in 100% marzipan decorate a greetings card with a real difference. 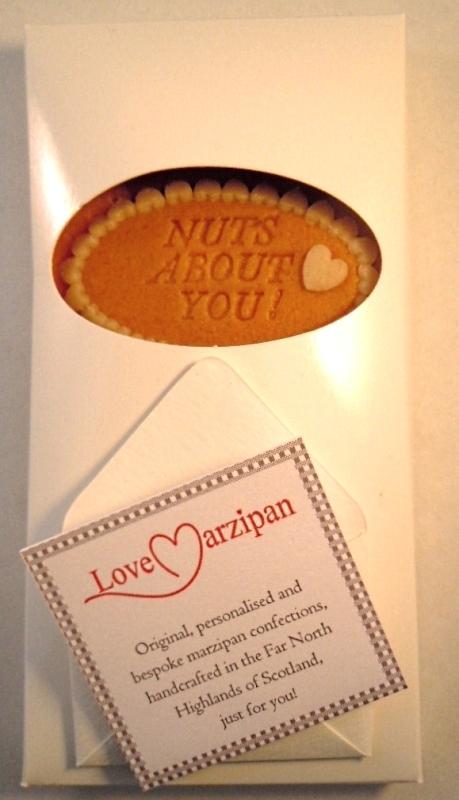 A unique way to send your love to dad on Father's Day. Choose your message from our selection, or create your own - but keep it short please! Approximately 15 cms in length and presented in a white card sleeve.